This comes in the wake of raids conducted on Adhyatmik Vishwa Vidyalaya in Rohini on Thursday where women and girls were kept confined like "animals in a cage". The ashram was founded by Virender Dev Dixit. 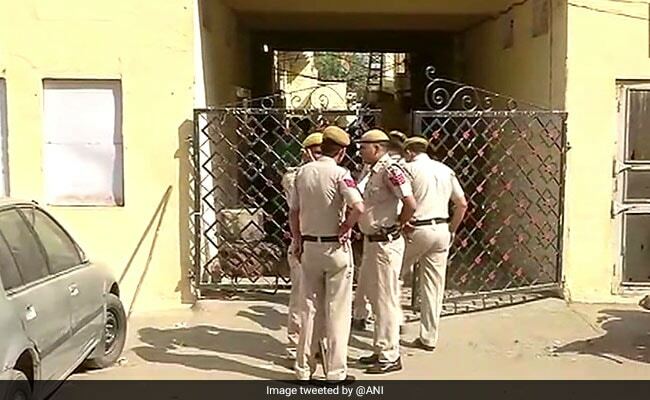 New Delhi: The Delhi Commission for Women, along with a police contingent, today raided an ashram run by a spiritual head in Dwarka rescued five girls who were allegedly confined there. The issue had come to light due to a PIL filed by an NGO, Foundation for Social Empowerment, before the Delhi High Court. It had informed the court that several minors and women were allegedly being illegally confined there. Following the PIL, the high court had set up a committee, comprising lawyers and DCW chief Swati Maliwal, to inspect the premises of the institute. The high court also asked the committee to inspect eight other similar centres being run by Dixit in the national capital after the existence of these places was brought to the court's attention. Yesterday, the DCW along with the Delhi Police raided Dixit's ashram located in Mohan garden area of Uttam Nagar and found 25 women confined there. Today, the state women's panel rescued five more girls from the ashram. "Just rescued five more girls identified as minors by CWC from Baba's ashram at Mohan Garden. Same prison like situation here. Locals informing that many girls were removed earlier yesterday morning before our last night visit. Also that they often heard the girls crying at night," she tweeted. On Thursday, 41 teenage girls were rescued from Rohini and several objectionable items were seized. Ms Maliwal claimed that there were boxes found in the ashram that contained letters with "explicit content" written to the female inmates by Dixit. The DCW chief had earlier claimed that the ashram in Rohini had metal gates at every 10 metres and the terrace had barbed wire to prevent the girls from escaping. Local residents claimed the girls were being tormented for years. They claimed that the police did not pay heed to complaints and its only now after the court order that truth about the ashram has finally come out.